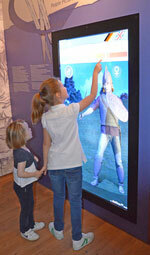 Access via interactive tools to individual subject areas, models, visualized machines or landscapes etc., allow for one to experience key special moments, especially in game, museum and internet applications. In order to achieve feeling of “free” movement within the applications, we work with different technologies (virtual quicktime panoramas, interactive 3D models, and real-time simulations). 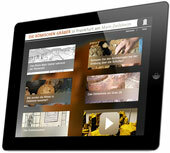 We attach great importance to the immediate, intuitive operation of the interactive applications. The zSpace 3D tablet is a fascinating new medium for museum or exhibition visitors – be they scientists, interested patrons or students. You are the surgeon of the 3D object or the adventurer in a 3D environment. Convey your information in an exciting and entertaining medium that your visitors will vividly remember. 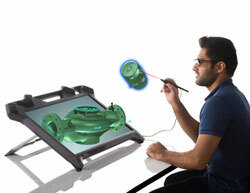 “Dive in and explore playfully”… with the interactive zSpace. We create the content and deliver the zSpace to you ready to plug-and-play. To find out more about the zSpace please visit www.zspace.com.